Washington National Cathedral, in many respects, is a powerful answer to war. Pierre L’Enfant’s proposed “church for National purposes” was to offer “a proper shelter for such monuments as were voted by the late Continental Congress, for those heroes who fell in the cause of liberty, and for such others as may hereafter be decreed by the voice of a grateful Nation.” Exactly one century later, when notable citizens met at the home of Charles Carroll Glover to revive that dream, all present had lived through America’s Civil War and were well aware of the scars it had inflicted on the whole body politic. When the Cathedral building project officially began after 1898, shortly after the Spanish American War, President William McKinley was on hand for the unveiling of a flag-draped figure—the Peace Cross—that still looks out over the U.S. Capitol far below. The message was clear from the outset that the Cathedral and the communities formed around it would stand for peace, and over time that Gospel message has rung out forcefully from the Canterbury Pulpit. Even on the days when that pulpit is silent, the Cathedral’s message of peace and spiritual renewal of all who have served pervades almost every space. The 1898 Peace Cross set a standard that would be matched many times within the Cathedral itself. In St. John’s Chapel, just south of the great choir, a 1936 sculpture by Paul Landowski commemorates the World War I service of Norman Prince and provides one of the Cathedral’s fullest statements that the ultimate goal of any military service should be to secure peace. Adorned with no fewer than five sets of wings (and one pair of airplane propellers), the tomb’s mass of pale stone—not only Prince, who stands on a cloud—seems to float. An eagle at Prince’s feet seems to hurtle onward, “where the nation would follow” as an inscription notes, but a large dove is also flying close behind. A complementary abstract depiction of peace in the aftermath of war, dating from 1961, appears in the “War and Peace” windows of Wilson Bay where the president who led the nation through the First World War is laid to rest: Woodrow Wilson. The left lancet shows the peoples of the world sent out in harmony with the blessing of God, who lights their way. By the right lancet, God is nowhere to be found as flames surround a woman desperate to protect her children. In the center lancet, dominated by a cold ash blue, Jesus’ exhausted followers pull his dead body from the cross toward a Mother Earth that sleeps in hope. A happy child above this desolation, crowned with an Easter lily, holds forth the promise of resurrection. The same understanding of peace as redemption after destruction, acknowledging what has been damaged and lost while also transforming the scene, comes across in three extraordinary works that commemorate notorious acts of warfare on American soil. Two of these works are crosses. The Pentagon Cross in War Memorial Chapel, made from rubble salvaged from the military headquarters after the plane strike of September 11, 2011, was a gift to the Cathedral from the Army Chief of Chaplains. Dedicated in 1952 by President Eisenhower and Queen Elizabeth II of the United Kingdom, the chapel in which it stands is today most conspicuous for its altarpiece depicting a sorrowful Christ, his head surrounded by a dark halo or crown of thorns whose sharp and twisted shapes evoke bayonets and shrapnel. A bit further down the nave, in the contemplative darkness of Andrew W. Mellon Bay (almost a chapel unto itself) the Cathedral’s own Coventry Cross of Nails hangs on a wall bathed in light from the bay’s Presbyterian Heritage Window. This cross was made from fourteenth-century iron nails salvaged after the wartime destruction of England’s Coventry Cathedral. “Many cathedrals have been destroyed in wars, and I for one should like to have a hand in rebuilding one,” said John “Blackjack” Pershing (1860–1948), general of the armies, in speeches during the 1920s. Pershing served on the Cathedral Chapter for nearly a quarter century. The remains of Admiral George Dewey (1837–1917), originally interred at Arlington National Cemetery, were removed by his family for placement at the Cathedral around the same time. A similar conviction motivated career U.S. diplomat Henry White (1850–1927), memorialized on the north side of the nave in a bay that bears his name. The full set of stained glass windows in White Bay represent the Book of Common Prayer collect “For All Sorts and Conditions of Men,” emphasizing the need to harmonize the world’s diversity so that its resources can be turned toward peaceful ends. White’s experience of worship in Westminster Abbey and at St. Paul’s Cathedral in London affected him profoundly when he had worked in the United Kingdom, and he wrote that he resolved to spend the rest of his life dedicated to the completion and mission of the National Cathedral as a result. Across the nave, somewhat appropriately on the south side, Lieutenant General Thomas Jonathan “Stonewall” Jackson of the rebelling Confederacy appears kneeling and reading the Bible. “Lee-Jackson Bay,” where that window appears, also honors Confederate General Robert E. Lee. As docents are quick to note on tours of the Cathedral, the presence of such a controversial set of figures as Jackson and Lee underscores the building’s role as a repository of American memory, carrying the very wounds of war within its walls. The passage referred to is a guiding star for many other inscriptions throughout the Cathedral by not only Lincoln but Wilson and even Winston Churchill: letters, speeches, radio addresses urging common purpose, shared sacrifice, and the benediction of victory.  Explore the Cathedral’s iconography through one of our online virtual tours. Visit www.nationalcathedral.org/visit/onlinetours.shtml.